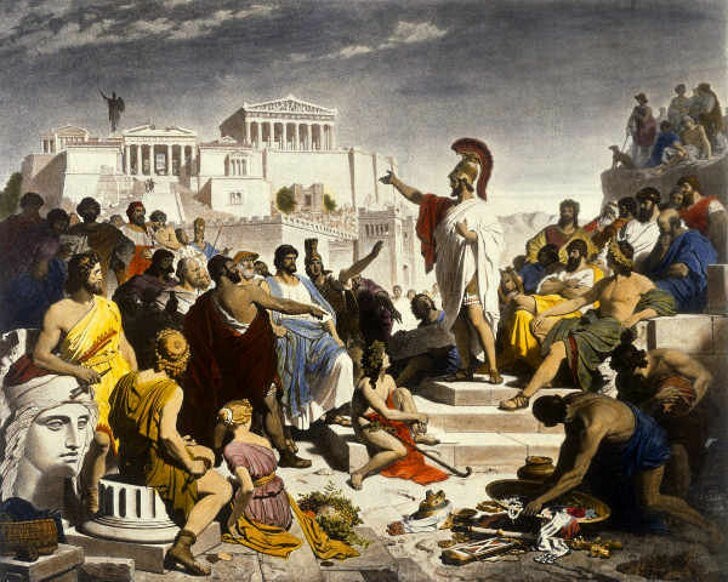 Athenian democracy came about around 550 BCE. At the time the system of government was designed to be a direct democracy, which would mean that every eligible citizen would have the opportunity to vote on each piece of legislation. Aside from political revolutions around 400 BCE, Athenian democracy remained remarkably stable and well maintained. This new form of government empowered the common citizen in ways that were unheard of. Individuals not from aristocracy, yet who possessed political ambition, often found themselves hoisted to the highest ranks of Athenian politics. One example is the famous Athenian general and statesman Themistocles, who would be essential in the salvation of Greece during the second Persian invasion. For these reasons, Athens is often regarded as the birthplace of democracy and the cradle of western civilization. Of course it was far from perfect. Only free men who had completed their military service were allowed to vote on any legislation. This meant that only about 20% of the population were actually able to vote. Women were not allowed to vote and subsequently possessed significantly fewer rights than men. These were not the only complaints against the early democracy of Athens. In the course of his writings, the philosopher Plato extensively examined what he considered serious dangers that resided within the system of democracy. The first, rather obvious, strike against Athenian democracy is that there was a tendency for people to be casually executed. 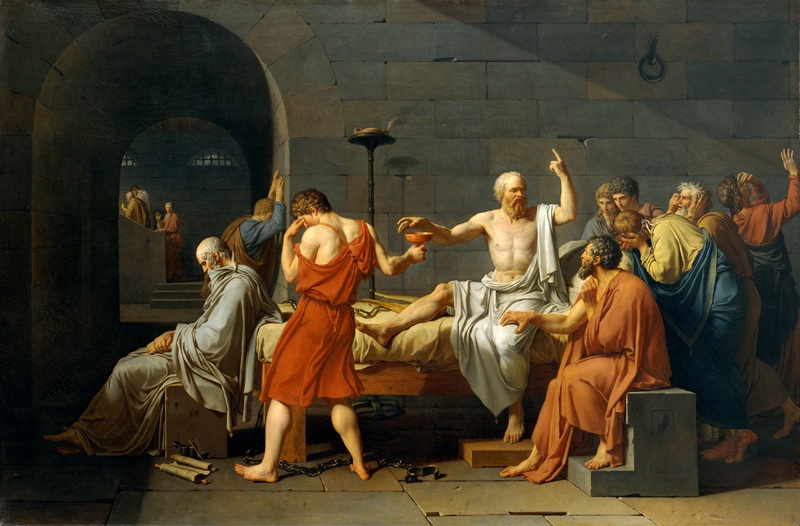 It is understandable why Plato would despise democracy, considering that his friend and mentor, Socrates, was condemned to death by the policy makers of Athens in 399 BCE. Plato would write about the trial of Socrates in his first essay The Apology. Plato would later describe the trial of Socrates as a doctor being persecuted by a pastry chef and judged by a jury of children. Still, Socrates was not the only man to be executed in such a manner. During the Peloponnesian war, the ten treasurers of the Delian League were accused of embezzling funds from the Athenian treasury. These men were tried and executed one after another until only one remained. It was only after nine men were dead, that a simple accounting error was discovered and the remaining treasurer was released. Also, after the naval victory of Arginusae, several Athenian commanders were accused of failing to collect survivors after the battle. Six commanders were executed for failing to perform their duties. The city would later repent for these executions by executing the original men who had accused the generals. It might be easy to assume that Plato held a grudge over the death of his mentor. Certainly, the numerous executions would give reason to doubt the system of Athenian democracy. However Plato believed there was a far more sinister nature to democracy. A calamity at the very heart of democracy, it would lead only to tyranny and subjugation. In book VIII of The Republic, Plato begins to describe several stages of government that are intolerable, yet unavoidable. Plato predicts a society with an enormous socioeconomic gap, where the poor remain poor and the rich become richer off the blood and sweat of others. In this instance, the people will long for freedom and liberty. They will use it as a battle cry against their oppressors, sparking a revolution. From this revolution, blood will be spilled and many will die. During this time of violent transition, the people will rally behind one man, or a few men, whom they believe to be their savior. The people will lift this champion to great heights and anoint him with sacred responsibilities to bring liberty to the land. When the smoke clears the old regime will be gone and a democracy will be supplanted. And while this is reminiscent of several historical revolutions, including the American revolution, Plato warns that the trouble only intensifies from here. During the course of his writings Plato differentiates between necessary desires and unnecessary desires. Necessary desires are desires we can not over come, such as our desire for shelter and sustenance. Unnecessary desires are desires that we are able to overcome, yet refuse to. These desires include luxuries and lavish possessions. These types of desires are a result of a rapid influx of liberty into the population. Once we have tasted freedom we become drunk off it. Plato predicts that the people will demand freedom at every turn, fighting any form of authority and demanding more liberty. We become obsessed with our freedom and become willing to sacrifice necessary things like social order and structure to attain it. At this point, the newly appointed leaders become very nervous. It was so easy to depose their predecessors, so why not them? These democratic leaders will realize that they are only easily supported when there is a war that the people can rally behind. And so the democratic leaders will unnecessarily become involved in violent affairs, creating wars to distract the people. To ensure their power, the leaders will create laws to bolster their position. The rulers will impose heavy taxes against the commoners to ensure they are unable or unwilling to fight back against this. And any who do oppose the leaders will be labeled as an enemy and persecuted as a spy. It is for this reason that there must always be some enemy combatant that the leader can cast blame upon. Plato continues in his discussion by explaining that the these leaders will eventually become unpopular, an unavoidable result. Those who once supported this ruling class begin to rebel against the would be tyrant. At this point the citizens will try to get rid of whatever man is currently in office, either by exile or impeachment. If this is not possible, the ruler will inevitable strike down any political opposition he may have. Hated by the people, these leaders will request the presence of a body guard. And now he is a tyrant, the leader has no choice if he wishes to rule. Elected by the people, yet now he is protected from them. 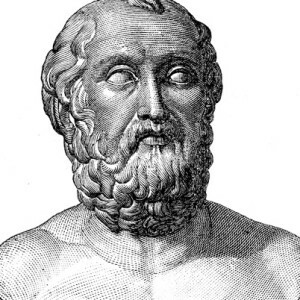 Plato predicts that this tyrant will appeal to the lowest form of citizen. He will make soldiers of the slaves and the degenerates. The tyrant will pay them to protect him from the ordinary citizens. And now the leader is a tyrant, born from democracy and propped up by the demand for liberty. And in our quest for liberty, we instead created a monster. Plato’s description of a democracy is rather thought provoking. It gives us pause and forces us to examine our own government. Could it be true that our leaders are the bullies and the political tyrants that Plato describes? 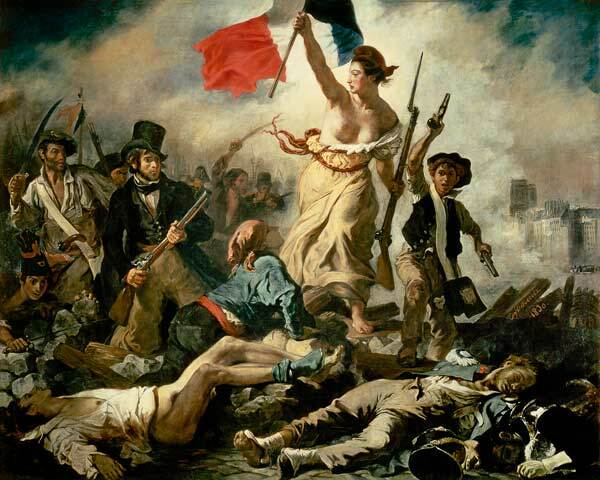 Does democracy lead to entangling wars for the benefit of the ruling class? And are the people so subjugated by senseless laws and stiff taxes, that they are unable to resist in any meaningful way? Perhaps. History has shown a consistent pattern of subjugation, revolution and subjugation once again. Plato predicted that democracy would lead to nations being governed by bullies and brutes. Take a minute and think about the people who are running whatever country you are in and tell him he is wrong. And before you decide to judge the philosopher Plato, try to remember that he is often considered one of the wisest men to ever live; an individual whose work was so profound that it shaped the direction of western thought and culture. Indeed, it has been said that any philosophy after Plato can only be considered a footnote on any of his work. Yet, we are allowed to doubt him if we wish. Rather ironically, that is a freedom we are allowed. It was the political philosopher Thomas Paine who describe government as, “at best, a necessary evil”. And if we are to think in this manner, then perhaps democracy is simply the least damaging form of government we have been able to create over the course of human existence. A thinly veiled tyranny is better than outright oppression. Whatever your opinions of democracy, American or otherwise, it is necessary to keep in mind these charges Plato has laid before us. And the next time we celebrate the 4th of July, keep in mind that a far wiser man than any of us once called to our attention the unavoidable and disastrous nature of the pursuit of liberty. The American founding fathers gave us an aristocratic Republic and warned us against democracy (mob rule). The American people did not heed their warning and opted for democracy and now have oppressive laws, regulations, taxes and maximal surveillance, unjust foreign wars and every evil Plato and the founders warned us about. What happens to government when technology advances to the point where “necessary” and “unnecessary” desires are removed or significantly diminished? up was not so revolutionary. Otherwise the description of our lessons learned from Plato was most impressive. Well, Plato also said that wives and children are to be held in common, didn’t he? So maybe not so wise in all respects. 2017. I wonder what Plato, and Socrates, would think of how well, or not so well, Democracy is working today. In the good old USA a President is elected not by the majority of the voters. He is so hated by the majority of the voters that there are numerious demonstration against him almost on a daily basis. What is interesting about their discontent, not a word about how this unjust happening happened. The Electoral College. Not a word about repealing this outdated and archaic part of our constitution. If WE THE PEOPLE do nothing to repeal the Electoral College then WE are the problem and deserve what we get. Democracy is not the best form of government, however, what is. The powerful and wealthiest rule. They only seem to care about the people when it comes time for re-election. How sad for us, how very, very sad. I find this Plato essay filled with the childlike personality of who wrote it. Although some of the thoughts are reflective of “The Republic”, to get to the bottom of Plato and Socrates’ concerns for their concept of democracy, is that democracy (by its definition “the great experiment”) can not survive as it is fundamentally flawed in theory by the greater growing demands of individual needs, small groups and expectations of repairations or entitlements. And we, today, are in fact seeing this happen before us. We will need to find a way to become a little less individualistic, more collective with purpose and find some human commonalities with a deeper appreciation for our country, and compassion for the republic to which our forefathers gave such great thought. No other nation can seem to copy the USA. People try everyday to escape their personal schackles to live amongst the most free people, to come to live in the USA in the most free country in the entire world. Thank God for our Forefathers meaningful, deep, reflective thoughts, Washington, Hamilton, Jefferson, students of Socrates, those who did not have TV news, who actually had original thoughts. They created this not so perfect but an amazing nation we call home. Not without difference, or discussion for what is best for the nation but the willingness to put ego aside and make the laws to keep this nation whole. For those that can not see Plato’s foresight, please delve deeper. If you have no understanding of the founding of this country, it goes farther back than you realize, do not embarass yourself by marching like an idiot for your unthought cause. You are in fact free. Try to become more meaningful. Our world depends on the success of this incredible democratic “experiment” and all the original thought. God Bless all who live in this great land. … and now in 2017, we have Trump, the very culmination of Plato’s warnings. It seems to all start with the rich getting richer too much. We are in that situation. For those of you saying that the democracy is all that we have that is not true. Democracy is a mob rule, rule by the lowest common denominator. A better government is a Republic. It is a nigh time that we shall stop heading to democracy and start reverting to a full republic.